So, what do you think of the new IndyCar chassis design from Dallara? Ask A Hoosier.com doesn’t like the trend toward “Hot Wheels” fantasy car looks so much (perhaps stuck too much on 1960’s nostalgia), but thinks over all it’s a good thing. Looks aside, the advances in safety design, lowered costs, improved aerodynamics, allowing choices of multiple providers for various alternative aero packages, and especially the manufacturing of the “IndyCar Safety Cell” in Indiana – all score top marks with AAH. Just considering looks, we liked the Lola design a bit better (SpeedTV.com article). Those submitted by Swift Engineering (racer.com article)and BAT Engineering (IndyCar Garage article) were something less than OK. In our opinion, the design submitted by DeltaWing was horrifying. It might be right for a land speed record attempt, but not IndyCar. By the way, where was Panoz? We really like these guys, especially because they’re a US company (Georgia) and because the DP-01 designed for Champ Car is beautiful. Too bad we didn’t see a submission from them. Based on this design (albeit slightly dated, introducted in 2006) Panoz would be AAH’s choice for a second chassis designer. It would have been good to see a US company come up with the winning design package, but we do like Dallara, and their decision – no doubt a prime consideration made clear by the IRL (was it the deciding factor?) – to come to the Hoosier state is good news. We can probably agree looks are a huge part of this, at least considering IndyCar fans. It’s similar to presidential candidates. The fact is, he’s got to be good looking, but not too much of any one thing in particular. The American voters are not going to elect a guy with big round glasses and a bowtie. They’re just not. If that day were ever here, it didn’t last long. We want the brains, experience (oops, maybe not that…), and ability (uh, maybe we’re not sure about this one yet either…). But we certainly want the good looks. We don’t want the open collar-gold chains-slicked back hair-patent leather shoes-double knit-sans-a-belt-over-the-top kind; just sharp and professional. “Presidential” good looks. Except for softening the lines a bit too much removing some of the raw muscle look of years gone by, Dallara has come up with all that, in our opinion. The IRL’s aggressive program to draw in the best of Indiana technology, and create jobs is great. And it’s good to see this side of competition return to Indianapolis and IndyCar. This is a solid step in the right direction, but we think IndyCar supporters remain compelled to look back to the time of full chassis and engine choices for deeper and broader competition. The risks – and calculations – are many. It’s not just a matter of cost containment, as George and the IRL leadership know. The teams that arrive at the track with the deepest pockets (i.e., Penske and Ganassi) may well become closer to unbeatable. (But probably not. With the drop of every green flag we are reminded that anything can happen. Will Power seems like an unstoppable powerhouse this season, but he doesn’t drive for either of those guys. It’s clearly not always about the biggest team with the biggest budget). There has been growing talk about opening up on engine alternatives, too. If this new development for aero package competition works out, perhaps the IRL will allow real pressure on Honda again…but not Dallara…for now. For more perspective USA Today has a good article from AP. via Dallara’s U.S. tech home will be inviting. I was asked to review the several following books from a layman’s perspective by Marla Roth-Fisch, a Highlands Ranch, Colorado author and illustrator of Sensitive Sam, a book grown out of the life experiences of her family as one with a child with Sensory Processing Disorder (SPD). Along with our mutual interest in writing, this is a key experience we share, as I also have a son with SPD. To introduce these books in general, there are several outstanding points worth bringing out first. These books are extremely thorough addressing their respective subjects and precise in their details and application. Interestingly, several of these are also great resources for families even without autistic, Asperger’s Syndrome, or SPD children; they can benefit most anyone base on their broad applicability and common-sense approach. Above all, they offer practical tools to employ and a positive reminder that there is help, and there is hope. Ms. Labosh fits into that common description of so many people who eventually end up in a career for which they did not study nor received a degree for in university. Bucking the system, she decided to do something she has a passion for, has immense experience with, and that she loves. While she received a degree from Penn State University that equipped her to be an economist, she found that as a mother with autistic boys, her greatest area of expertise and her heart’s desire were to write, speak, and provide practical tools and encouragement to those in like family circumstances. Ultimately, there is no substitute for experience. To speak – and write – with authority – one must have the experience as a fundamental starting point. This is perhaps where Kathy Labosh’s greatest strength lies. These books, including two others (which are not reviewed here), The Child with Autism Goes to Town and The Child with Autism at Home, make up a series of books that are characterized by their clear answers to the “what do I do…?” and the strong encouragement of “you can do it” in just about any scenario parents and caregivers will encounter with a child with autism. PROs: In her book The Child with Autism Goes to Florida, Ms. Labosh lays out step-by-step assistance in planning and executing the trip, with the benefit of her experience. She provides clear descriptions and recommendations, both for and against specific activities and venues. Because Disney and other related destinations are the predominant attractions for children and families in Florida, this book is ultimately targeted well. CONs: The outstanding observation I made is the flip-side of this coin, the book’s Disney-centric perspective. Granted, Disney tends to be the dominant subject when it comes to visiting Florida with children, and Ms. Labosh does offer the requisite disclaimer that Disney does not endorse her book, but in the end, it does leave one with the impression that her book could have been entitled The Child with Autism Goes to Disney. In the end though, this is a weak criticism and just about the only one I can come up with. There are more things to do in Florida than visit entertainment resorts. I was somewhat disappointed to find no mention of the Kennedy Space Center, or perhaps even most obvious -the beaches. Beach resorts and public beaches line both coasts of the state and are numerous enough that it is likely that virtually every life situation can be accommodated. It just takes research and planning, the key purpose to the book. BOTTON LINE: This book is a must-have resource for families visiting those prime destinations in Florida. If its shortcoming is that the author overly concentrated in Disney and the similar family resorts, then it was equally prudent. The assistance this book can give you planning a trip to Florida can make all the difference. Another in Kathy Labosh’s highly practical and well thought-out “The Child with Autism” series of books for families, teachers, and other caregivers with autistic children. The core of the book, from a preparation standpoint, is Part 1, entitled Class Preparation. This guide starts out strong in Part 1 as it is in fact, a vital How to Pull It Off Preparation. To immerse yourself in Part 1 will prove to be your key to success. Ms. Labosh lays out the most important background – in detail with specific examples – a caregiver of autistic children needs to know: How they Learn. Without this key ingredient, it is readily apparently one would have no way to adequately work with these special kids. PROs: Several areas stand out. 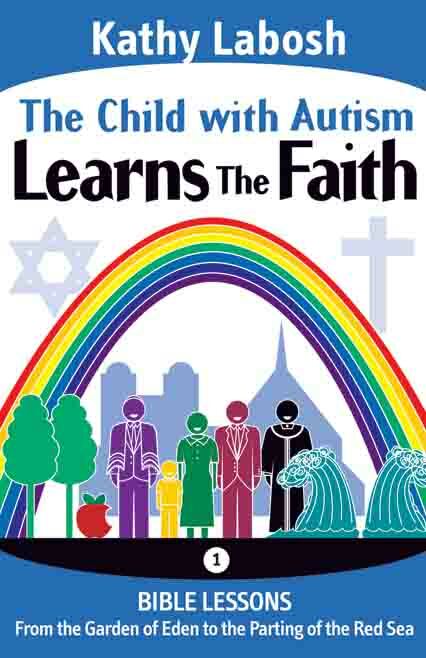 First, as written, the book; curriculum, really, receives solid praise and endorsement from a number of credible authorities of both the catholic and Jewish faiths as well as professionals in the field of autism spectrum disorders. Second, the book is well-designed for ease of use and repeated reference. There is a clear emphasis on the importance of preparation with the first quarter of the book (again, Part 1), devoted to this: After How They Learn, very helpful and specific detail is provided in essentially a checklist format in Classroom Setup and Materials and Resources. The remaining three-fourths of the book provides 15 Torah – Old Testament – based lessons to be conducted by (probably) a single, lead teacher assisted by volunteers which include parents. Perhaps most outstanding features of this book are the obvious sensitivity and deliberate design to accommodate the very particular needs of autistic children. Certain characteristics, such as need for minimal noise, more regimented and well-organized presentation-execution plans, short and simple activities segmented often to prevent overload are just a few examples. In short, Ms. Labosh knows autism. More importantly, she knows her own children, and has very professionally translated her knowledge into practical, useful tools for others. CONs: The most outstanding item for me here is the book could have been more aptly named The Child with Autism Learns the Books of Genesis and Exodus, rather than “…the Faith.” Of the 15 lessons in the book, 11 are based on the book of Genesis. The remaining four center on Exodus. While there is a brief mention of the New Testament in the introductory portion of the book, there are no lessons written explicitly on New Testament stories/events and there are no New Testament scripture references. This should not be taken as a criticism of a dogmatic nature; rather simply that perhaps the book’s title is a bit too broad in scope. If the author had named it more exactly, she might have better preserved the option to better entitle a fully separate faith-based series. Perhaps only one other item might detract from the book as a whole, though not much. I did encounter one typographical error. A small one, but one nonetheless. This is probably a byproduct of the self-publishing phenomenon that is growing rapidly. Ms Labosh has published this series under Labosh Publishing, obviously her own label. Please understand – I do not mean to say this is a bad thing; it can be, in fact, a very good thing – if done with all due diligence and highest professional standards and accountability. Kudos to her for exercising her spirit of free and independent enterprise. But the potential downsides are many, including the lack of independent and disinterested third party professional editors and agents, as well as critical review and advice. If the book had been accepted and handled by another, more traditional publishing house (including any smaller, independent one), these issues – the typo and questionable title – would not likely have been missed. Unfortunately, in the world of publishing and professional image and reputation, such errors (if I may be critical enough to say so) can relegate an otherwise excellent and worthy book to the margins of acceptance. As it is though, this book and the others from Kathy Labosh are of such a niche, and a highly specialized one at that, and given the possibility that (I suspect) she has a very loyal and thankful following, these factors may be non issues in the end, for her success. PROs: What a great tool! I could probably end my review with this comment and recommend that parents, caregivers, and teachers alike buy it immediately. I have to say I have never seen a book so well thought out and so well organized. Of course, this book is so unique (like the children and families it’s written for), it virtually stands alone, the basis and standard for its own category, even within the autism/Asperger’s/SPD community. This is a good thing, and based on my review of the book, quite an achievement. Just to spend 30 minutes – not quite enough for me, by the way – in the Forward, the How to…, and the Tutorials… sections alone give a keen understanding of the depth of usefulness, quality of research, and import of experience that has gone into this book. More accurately, this book is a toolbox, not just a tool. It’s a powerhouse of a toolbox. Designed around the concept of explaining social life, that is, the interactions between people and their surroundings, extraordinary detail is explored by way of well-thought out broad categories. Listed in full here, you’ll see it would be difficult to come up with an area of life that has not been presented. Originally thinking I would list only a few to give a good idea, I found myself wanting to list them all, as each seems so fundamentally significant – and to assure the reader here that this book, while maybe not really a one-stop-does it all – it’s pretty close. They are: Learning with Stories, Change, Mistakes, Me and My Feelings, Celebrations and Gifts, People Skills and Friendship, Bullying: What to Do, Say, and Think, Understanding Adults, Home and Community, School, and Planet Earth. The sections (not identified as chapters) vary in length, anywhere from 7 pages (Learning with Stories) to 40 plus. Several are of this length, while most are 20-30 pages and several in the teens. But more importantly, the book is to be used in small portions – one story at a time. The reader will quickly understand this is, like the others in this review, not a book to simply sit and read; it is in no way designed for that purpose. It is to be utilized portion-by-portion as required. It is also important to spend adequate time in those aforementioned front-end sections. This will equip one to take best advantage of all the book offers. And what it offers is immense. The New Social Story Book is actually in its tenth year, and the review copy I explored is the anniversary edition, both “revised and expanded”. The key attributes of attraction for me are actually found outside the text of the book itself. First, the author’s and publisher’s very liberal and generous usage permissions. While this is not entirely uncommon in such a book, or more broadly, in this genre, it is always refreshing to know that they are serious about helping and contributing; theirs is a mission that is not to be denied. For example, the publisher, Future Horizons “grants the purchaser of [the] book permission to make copies of the Social Story portion of [the] book.” Now of course, there are very explicit instructions and requirements to be adhered to, but I find them to be more than reasonable and entirely workable. In this arena, it is not just about selling books. It is about equipping people and changing lives. Second, fastened inside the back cover opposite the author, Carol Gray’s biographical sketch is the new and fun addition to this tenth anniversary copy: a CD full of “Over 150 printable, editable Social Stories!” The material on the CD is in Adobe PDF format. CONs: I’ll have to get back to you on that. Sincerely – maybe there are none. Perhaps it could be overly structured for at-home family use, but that is debatable. This is book is best – and most practically – taken in small, well-timed doses. The only other thing I can come up with – it’s pretty heavy (but worth it’s proverbial weight in gold). 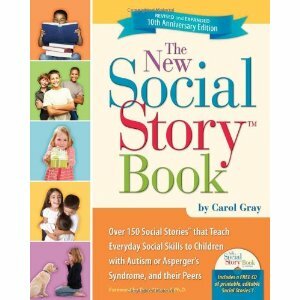 BOTTOM LINE: Another “must have”, certainly for teachers and other professional caregivers. For that matter, I would recommend it for use – with some slight adaptation – even in a religious education setting. Families will certainly benefit from it just as well, but professionals ought to consider it a necessary tool. In Part 2 – The Second Three Books I will discuss Understanding Death and Illness and What They Teach About Life, Catherine Faherty, Future Horizons publishing (2008), 1001 Great Ideas for Teaching and Raising Children with Autism or Asperger’s, Ellen Notbohm and Veronica Zysk, Future Horizons publishing (2004, 2010), and Squirmy Wormy, Lynda Farrington Wilson, Sensory World publishing (an imprint of Future Horizons publishing) (2009). ABOUT the REVIEWER – – – Michael Conner is the father a very special and wonderful boy with Sensory Processing Disorder. He is an author, yet to be published, of several children’s book and one adult novel, and creator/author/editor of Ask a Hooiser.com, a blog covering various aspects of life and society from a distinctly Indianian perspective. The views in this editorial review and commentary are strictly those of the reviewer and cannot be attributed to anyone else in any way. Mr. Conner is solely responsible for the full and complete content of this review. If a reader has any question or comment on or otherwise response to this review, they are invited to comment here or write to michaelconner@att.net.